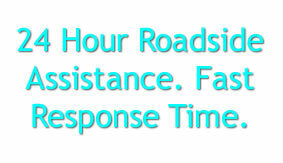 Anytime you are facing a roadside emergency we are here to offer 24 hour emergency towing. Over the years we've seen many unfortunate accidents but have came to help turn the tables. 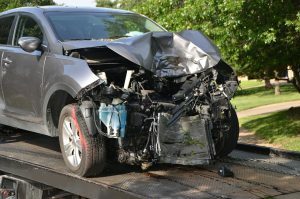 Recovering damaged and totaled vehicles is a very common practice within the tow trucking industry and we have technicians ready to help at a moments notice. Your safety is the number one priority so be sure that you call the authorities anytime you feel its a medical emergency. If you are ok and just need towing we are here at all hours to assist you. Give us a call anytime you need immediate 24 hour emergency towing in Hollywood or the Los Angeles area. Our operators are here to take in your call and send out a tow truck right away. Not only will you get fast professional service but you'll also save money on our low cost emergency towing rates. You are already going through enough as it is, why deal with inflated towing prices during such crucial times? Let us take care of your emergency situation professionally and affordably. It's for reasons like this why many companies and drivers save our number because they know they received excellent service every time. Our technicians not only know it all, but they've seen it all. After 1o years of working for us our technicians are well equipped and ready to go with the best tow trucks within the industry. We also have the biggest tow truck squad within the LA area allowing us to reach you faster due to the emergency circumstances. We're here to help you anytime you need our low cost emergency towing within the Hollywood and Los Angeles area. You should always put your medical bills and vehicle repair costs first before overspending on towing services. Here at Hollywood Towing Service we completely understand what goes through drivers minds when these situations do occur. Once you call us our phone operators will answer your call immediately. 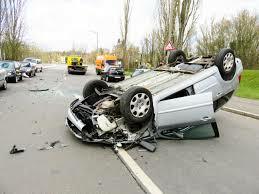 Upon answering they will get all the necessary info required and send over the closest tow truck in your area. Always trust experienced professionals with years of extensive service for your emergency towing needs. Give us a call 24 hours a day, 7 days a week anytime you seek affordable emergency towing within Hollywood or LA.